This is That is a weekly satirical public affairs program on CBC Radio. 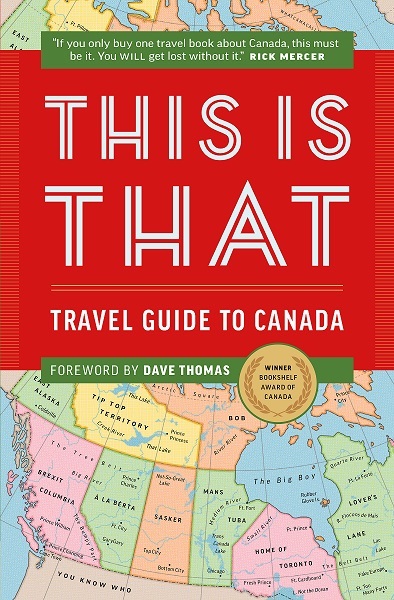 With the help of producer Chris Kelly and comedian/podcaster Dave Shumka, hosts Pat Kelly and Chris Oldring ventured into the literary world and produced their first book – This is That: Travel Guide to Canada! …sorry, that was rude, eh. While this book does play heavily on Canadian stereotypes, the jokes aren’t repetitive and they do not feel recycled. This is a hugely entertaining book that had me laughing out loud. It’s one of those few experiences I’ve had where I feel like something was written specifically with my own personal sense of humour in mind. You’d be doing yourself a disservice if you pass on this one, ya hoser. With the holidays fast approaching, This is That: Travel Guide to Canada would make the perfect stocking stuffer for Canucks and Yankees alike! 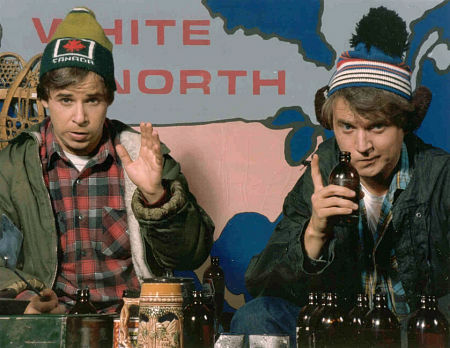 I’m sure that given the recent election, a lot of Americans will want to familiarize themselves with their neighbors to the north before packing up to escape the orange menace in the White House. I do love a good joke that appeals to my Canadian sense of humour, but doesn’t seem written by an American playing on the stereotypes. I’m going to get this!